Fat Shark are a leading provider drone racing FPV headsets. 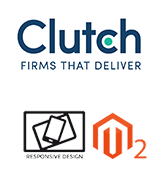 They approached our certified Magento 2 developers looking to create a brand new ecommerce site for their wholesale B2B business. The Fat Shark site makes use of some of the latest capabilities of Magento 2 such as one-step checkout, advanced reporting, advanced inventory management and accounting software integrations and more in order to provide potential customers with the kind of experience they expect from this world-leading brand.